A large international team of researchers has found a link between urbanization and changes in animal body size. 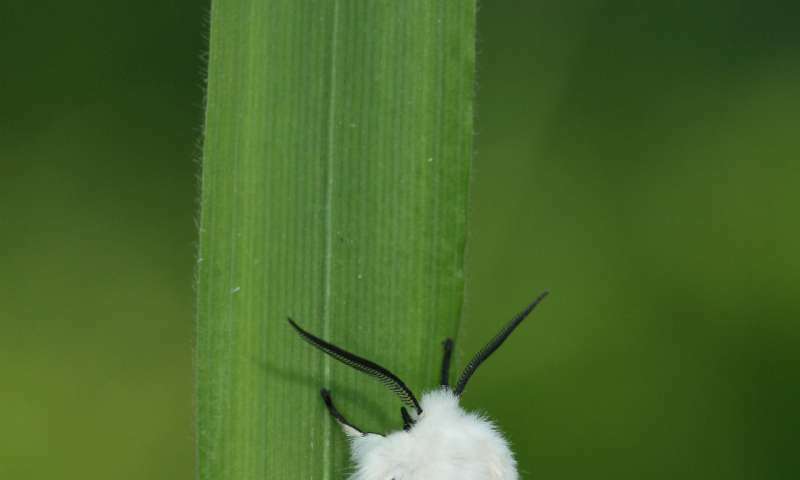 In their paper published in the journal Nature, the group describes their study of animals living in both urban and rural areas in Belgium and what they found. Prior research has shown that when temperatures grow warmer, animals tend to grow smaller due to an increase in metabolic rates. It is also well known that cities are typically hotter than surrounding areas because of all the heat-absorbing materials such as asphalt in roads. In this new effort, the researchers wondered if animals living in cities might be smaller due to the hotter climate. To find out, the group collected samples of invertebrates from 10 species in several parts of northern Belgium. Most were flying or crawling insects, but there were also some tiny water-based organisms such as water fleas (which feed on algae in the water). Collection areas ranged from natural, to rural to urban. In all, the team amassed a collection of 95,001 specimens which ranged from moths and butterflies to rotifers. After analyzing the data associated with the specimens, the researchers noted that there were far more animals in wild or rural areas than in urban areas and that there was less variation in cities as well. They also found that most of the species found in urban areas were indeed smaller than their natural counterparts, but there were some notable exceptions. Three groups, moths, butterflies and another that includes grasshoppers and crickets, were actually bigger than their country cousins. The researchers suggest this finding may have more to do with the landscape than temperature. They note that urban areas are very heavily segmented. Animals that can fly between the segments to find food and mate would likely have an advantage, and the bigger they get, the farther they can fly. 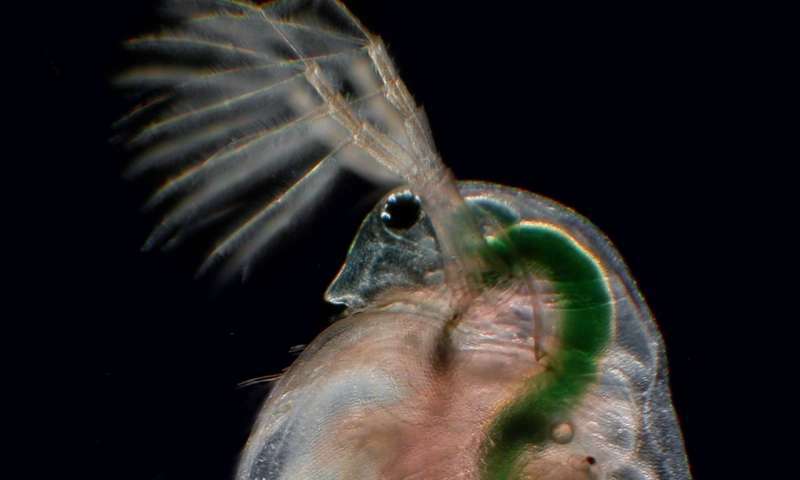 They also noted that one of the most extreme cases of change in body size was for water fleas—in the city they were on average 44 percent smaller than their native counterparts. The researchers suggest that their results could offer a hint of things to come. As global warming occurs, they note, it appears likely that most species will shrink in size, while some others might just get bigger. Body size is intrinsically linked to metabolic rate and life-history traits, and is a crucial determinant of food webs and community dynamics1,2. The increased temperatures associated with the urban-heat-island effect result in increased metabolic costs and are expected to drive shifts to smaller body sizes3. Urban environments are, however, also characterized by substantial habitat fragmentation4, which favours mobile species. Here, using a replicated, spatially nested sampling design across ten animal taxonomic groups, we show that urban communities generally consist of smaller species. In addition, although we show urban warming for three habitat types and associated reduced community-weighted mean body sizes for four taxa, three taxa display a shift to larger species along the urbanization gradients. Our results show that the general trend towards smaller-sized species is overruled by filtering for larger species when there is positive covariation between size and dispersal, a process that can mitigate the low connectivity of ecological resources in urban settings5. We thus demonstrate that the urban-heat-island effect and urban habitat fragmentation are associated with contrasting community-level shifts in body size that critically depend on the association between body size and dispersal. Because body size determines the structure and dynamics of ecological networks1, such shifts may affect urban ecosystem function.